In troubled times, there is an urgency to understand ourselves and our world. We have so many questions, and they tug at us night and day, consciously and unconsciously. In this important volume Zen Master Thich Nhat Hanh——one of the most revered spiritual leaders in the world today——reveals an art of living in mindfulness that helps us answer life's deepest questions and experience the happiness and freedom we desire. 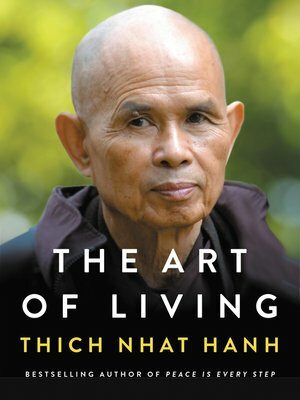 Containing the essence of the Buddha's teachings and Thich Nhat Hanh's poignant, timeless, and clarifying prose, The Art of Living provides a spiritual dimension to our lives. This is not an effort to escape life or to dwell in a place of bliss outside of this world. Instead, this path will allow us to discover where we come from and where we are going. And most of all, it will generate happiness, understanding, and love, so we can live deeply in each moment of our life, right where we are.